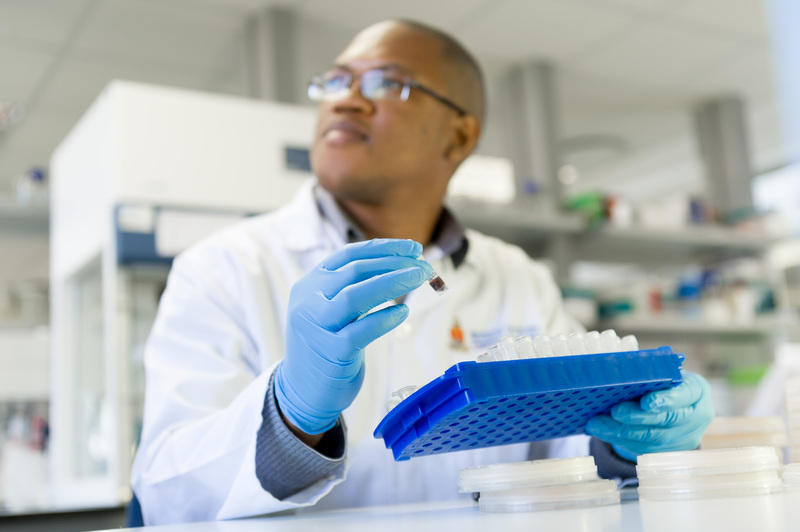 Dr Thulani Makhalanyane, Senior Lecturer in the Department of Biochemistry, Genetics and Microbiology at the University of Pretoria, has recently been elected to the board of the International Society of Microbial Ecology (ISME). The board currently has 12 directors from the USA, Europe, South America, and Australia. At 34 years old, Dr Makhalanyane becomes the first African to join the prestigious board of directors, taking up a 4-year term from October 2018. The society, which is based in The Netherlands, recently celebrated its 40th anniversary. ISME hosts the biggest biannual symposia on microbial ecology, with the most recent meeting, held in Leipzig, Germany, attended by over 2 300 delegates. ISME, in partnership with Springer Nature, also publishes the ISME Journal, which is the leading and most respected journal in the field, with an impact factor of 9.6. The ISME Society is the foremost non-profit global network on microbial ecology and seeks to promote the field through outreach activities sponsored by the ISME International Fund. These activities are largely run through the ISME Ambassador Program, which has representatives in over 60 countries. Microbial ecology, also known as environmental microbiology or microbiomics, is the study of microbes in the environment and their interactions with each other. More information regarding the field is available on the ISME website at http://www.isme-microbes.org. Dr Makhalanyane’s research has focused on understanding the microbial ecology of extreme environments. He has established several new research themes at the University of Pretoria, including a Marine Microbial Ecology theme focused on South African geographically strategic regions such as the Southern Ocean. In 2015, Makhalanyane received the TW Kambule NSTF award as an emerging researcher. He has co-authored over 35 publications since 2012 in leading international peer-reviewed journals. He has presented his work at several international conferences including the International Symposium on Microbial Ecology, SCAR Biology Meetings and the Polar and Alpine Microbiology meetings. He is currently Associate Editor (Frontiers in Microbiology, Extreme Microbiology section) and regularly reviews for several leading journals within the field (such as Nature, ISME J, Environmental Microbiology and Giga Science). He also serves on national and international review panels representing South Africa in Department of Science and Technology bilateral discussions. He teaches undergraduate modules in Microbiology and Genetics, and also supervises 10 postgraduate students (at M and D and honours level). He has successfully supervised three doctoral, three masters and five honours students since joining the University of Pretoria.